Heat oven to 350°F. Grease bottom and sides of 2 (8-inch) round cake pans with shortening; lightly flour. In small bowl, mix flour, baking powder and salt; set aside. In large bowl, beat 3/4 cup butter and the granulated sugar with electric mixer on medium speed, scraping bowl occasionally, about 2 minutes or until fluffy. Beat in eggs, one at a time, just until smooth. Stir in 2 teaspoons vanilla. On low speed, beat flour mixture into sugar mixture alternately with 3/4 cup milk, beating after each addition, until smooth. Scrape side of bowl occasionally. Beat in sour cream. Pour evenly into pans. 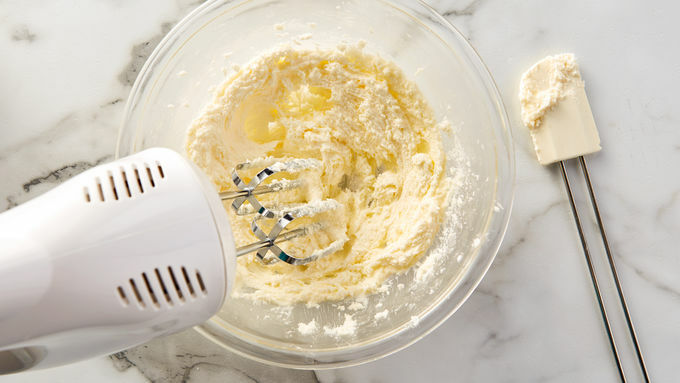 Tap pans on counter 2 to 3 times to eliminate air bubbles from batter. Bake 30 to 35 minutes or until toothpick inserted in center comes out clean. Cool 10 minutes; remove from pans to cooling racks. Cool completely, about 1 hour. 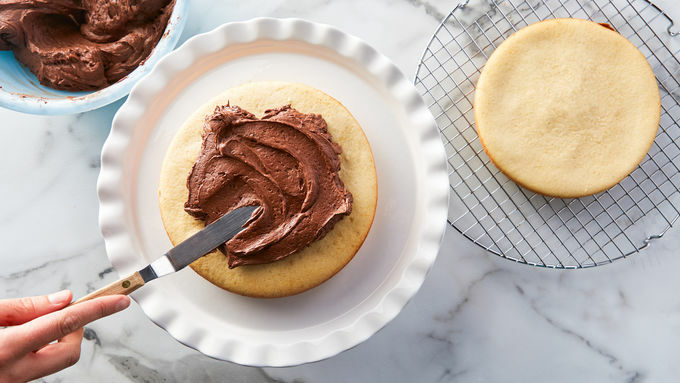 In medium bowl, beat Frosting ingredients with electric mixer on medium speed until smooth and spreadable. Place first cake layer on plate, and spread 1 cup frosting over top. Place second cake layer on top of first. Frost side and top of cake with remaining frosting. Store loosely covered at room temperature. 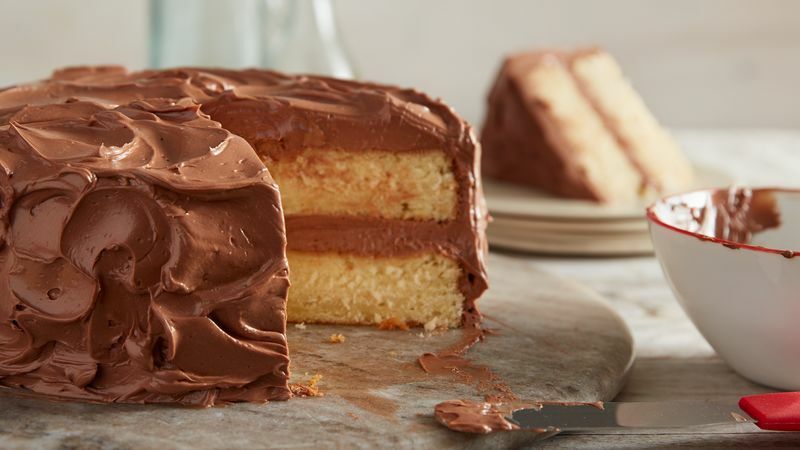 To remove cake from pan, insert knife between cake and pan, then slide around edge to loosen it. Place cooling rack upside down over cake. Turn upside down carefully so cake is on rack, and remove pan. Turn upside down onto another rack, turning cake right side up.